Former building engineer Simon Mallon, of Frome, enjoyed a 40-year career before turning his hand to writing. 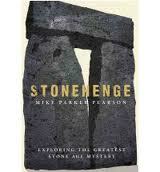 His latest novel On the Edge of the Blue gives a fascinating explanation of how and why Stonehenge was built. Mr Mallon said: “The sheer effort expended by the constructors of the first Stonehenge suggests Europe’s most iconic ancient structure was created for a magnificent purpose. But what purpose? “Astrological, mathematical, medical, all laudable ideas based on nothing more than guesswork and hunches and so very wrong. Mr Mallon believes that the henge stood on the side of a massive lake, and that the Preseli stone that was used to build it was brought across the frozen sea from the Pembrokeshire mountains to Bristol and then on across the lake. Following the success of last year’s event, the parade has been organised to bring the community together before Christmas. The 2nd Lantern Parade from Stonehenge to Amesbury will take place on Friday 21st December 2012 (not the 20th as we suggested earlier). This year’s route will be different to the one taken last year too. From the heel stone it will follow the original Avenue route to Kings Barrow Ridge, turning left on to the byways to join Countess Road (North) at the junction with Byway 9a & 37 and then following the footpath in to Amesbury to the Methodist Church. Tickets cost £5 including bus travel from Amesbury to Stonehenge and a lantern, which can be decorated, with a prize for the best one. 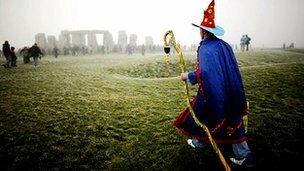 There will be no parking at Stonehenge for the event and refreshments will be available after the procession, which starts at 4pm. More information and tickets are available from the Bowman Centre or the Amesbury Community and Visitor Centre, call Alice Membery on 01980 622999 or emaildeputyclerk@amesburytc.org.uk. The parade, along the original processional route of the avenue, is believed to have been started centuries ago when the ancient monument was first built. “We’ve just discovered that life began in Amesbury as early as 8,250 years ago with a settlement by the River Avon,” said Mr Rhind-Tutt. And the recreation of the procession has been timed to leave Stonehenge as the sun sets on the eve of the longest night of the year. “It’s about a mile-and-a-half but it isn’t like walking down a road,” said Mr Rhind-Tutt. The origins of the Stonehenge bluestones will headline an Archaeology Day today (Saturday). The day, organised by Pembrokeshire Coast National Park Authority, will be held at the Merlin Theatre, in Pembrokeshire College, and will include five talks and question and answer sessions. 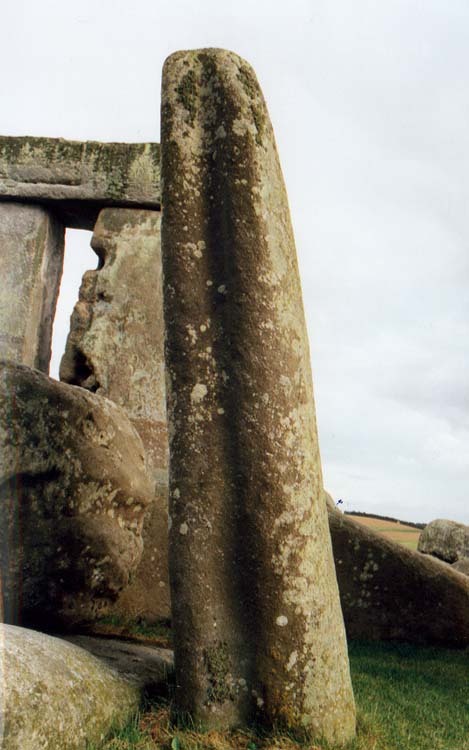 Guest lecturer Professor Mike Parker-Pearson of University College London will lead a talk about his research into how bluestones from the Preseli Hills became construction material for Stonehenge 5,000 years ago. In addition Louise Barker and Toby Driver, of the Royal Commission on the Ancient and Historical Monuments of Wales, will share their discoveries on Skomer Island, while Roger Thomas will delve into the 19th century fortification of Pembrokeshire. Tickets are £12, and include a light lunch and morning and afternoon coffee. Visit www.orielyparc.co.uk or call 01437 720392 . To hold a display call 01834 862105 . Tuesday 13 November 2012. A talk by Professor Mike Parker-Pearson, University of Sheffield. This lecture will present new findings by the ‘Feeding Stonehenge’ project about the people who built Stonehenge, and about the sources of its stones in Wales and north Wiltshire. It will examine the latest theories about when and why Stonehenge was built, and will present new discoveries from Wales as well as the Stonehenge area. 7.00 pm refreshments, 7.30 pm lecture. Please note this lecture is at the Guildhall (Market Square)not the Museum. A lecture in the Salisbury Museum Archaeology Lectures (SMAL) series. SMAL lectures are held on the second Tuesday of each month from September to April. Please note earlier start time for this particular lecture. This particular lecture requires booking. This is a fundraising event. Booking: Booking required. Please contact the Museum to book. Cost: In Advance: £8.00; On the Night : £10.00. Work which will allow visitors to enjoy an improved experience when visiting the Stonehenge World Heritage Site will start on the A303 in Wiltshire on Monday, 5 November. The six month scheme will involve improvements to the Longbarrow roundabout at the junction of the A360 and A303. 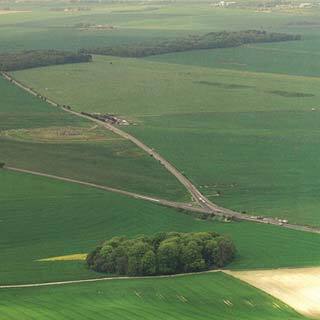 This will allow the closure of the A344, which runs next to the Stonehenge monument. New lanes will be added to the roundabout to take the extra traffic caused by the closure of the A344 and the centre of the roundabout itself will be realigned. English Heritage has been fully consulted during planning for the scheme and an archaeologist will be on site during the excavation work. Traffic signals will be used for minor advanced works on the A360 north of the roundabout for one week between 9am and 3pm from the 29 October. The main work will require lane closures on the approaches to Longbarrow Roundabout for the duration of the work with a temporary 40mph speed limit in place.. The A360 south of Longbarrow will be closed for up to eight days and nights on dates to be confirmed during either February or March. Clearly signed diversion routes will be in operation using the A345 or the A36 dependant on journey destinations. The scheme has been planned to cause the least possible disruption but road users are advised to allow extra time for their journeys.